Add extra power and improve your gas mileage on your Nissan GTR by replacing the OEM air filter with the K&N Drop-in Air Filter. The Nissan GTR deserves the highest quality products. The OEM air filter is very restrictive and clogs easily, causing losses in power on your GTR. Upgrading your air filter to the K&N Drop-in Air Filter will give you gains in power and improvements in throttle response. The K&N Drop-in Filter uses the highest quality cotton gauze filter elements to allow for maximum airflow to the Nissan GTR engine. By allowing your engine to breathe easier, you will also be improving your car's gas mileage. The K&N Drop-in Filter is a direct OEM replacement, so installation is just a matter or removing the OEM air filter and replacing it with the K&N air filter. The K&N Drop-in Air Filter is washable and reusable, so you never have to buy another replacement air filter ever again. This filter is guaranteed to last the life of your car. 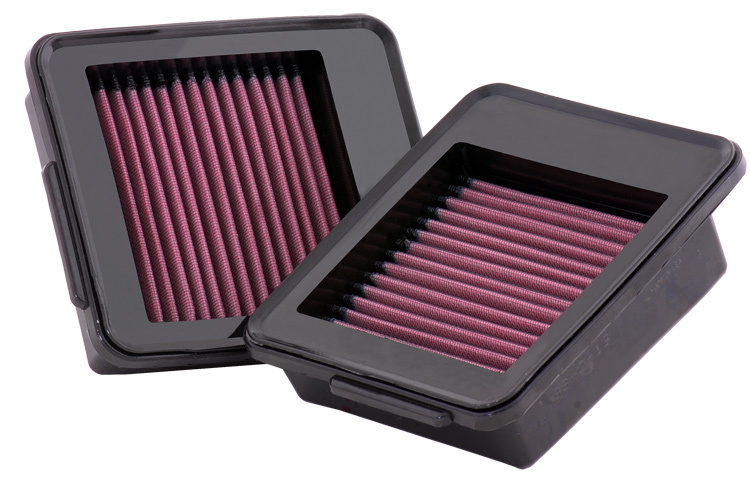 The K&N Drop-in Air Filter for the Nissan GTR includes K&N's Million Mile Limited Warranty.